ESSEQUIBO COAST, Guyana- Two young men were killed early on Sunday morning while walking home after they were struck down by a drunk driver at Richmond on the Essequibo Coast. Dead are 23-year-old Adrian Osborne and 20 year old Colin John. 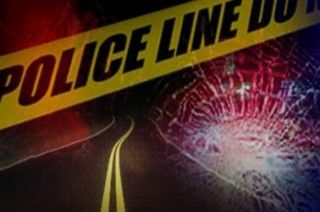 According to a police report, the two young men were walking along the roadway just around 3 am when they were struck down by a speeding motor vehicle. The driver sped away from the scene without stopping or offering any assistance. The two young men were rushed to a hospital where doctor pronounced them dead on arrival. The driver of the motor car was identified by witnesses and he was found in his house moments after the accident. The police arrested him at his home and he was found to be above the legal limit for the consumption of alcohol while operating a motor vehicle. His car was also seized. Charges could be filed against him early this week.